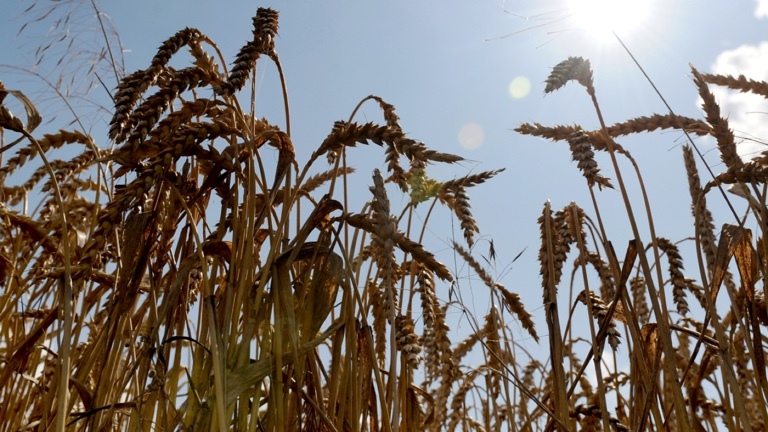 While we enjoy the sun, a potential food crisis is growing. The weather was hot and the climate deniers were silent. Strange actually, that you only hear from them when it is cold in the winter, but not during a historic heat wave. Then again, there was little to deny: the average temperature in Norway in May was more than four degrees C above normal – in the south this was five to seven degrees. Moreover, the lack of rain was unprecedented: not a single drop of water fell from the sky in Bergen for three wonderfully rare weeks. This is a city where it normally always rains. On a sunny terrace, a friend asked me if this was climate change. And if so: wasn't it great? Well, it is important to separate climate from the weather. One heat wave or one cold winter is not immediate proof for or against climate change. It is the long-term trend that counts. For example, the fact that Spitzbergen was warmer than normal for the 90th month in a row. Or that there has never been a warmer May in Norway than this year, in a time series dating back to 1900. Although the weather is erratic and extremes have always occurred, climate change takes these to a new level. Meanwhile, the ordinary Norwegian summer has momentarily returned, and with it, the rain. It was about time, or actually: it is already too late. Because even though I think it's fantastic to be able to jump into a warm fjord in May, the drought represents a huge loss for agriculture. Farmers suffered throughout large parts of southern Norway. The drought came at the exact time of year when grain and other crops need a lot of water to grow. Instead, the fields were yellow. I had not before seen that this early in the year. Neither did the farmers, because the situation has not been this critical since 1992. The Norwegian government estimates that it has to compensate about 3000 farmers because of the drought. This can cost a rough 25 million dollars, five times more than in a normal year. Despite this compensation, farmers are stuck with a large deficit, since 30% of the loss comes from their own pocket. Moreover, last year they faced the opposite problem: it was too wet. Many farmers are unlucky and are hit in their income for the second year in a row. Some fear to go bankrupt. The economic impact of this drought does not only affect farmers, but all of us. A failed harvest has to be compensated by more import. But Sweden suffered from the same drought, so this import must come from afar. The logical consequence is that food such as bread becomes more expensive. The beer price will not drop either. There is also a shortage of animal feed, which will have to be calculated into supermarket prices. The real cost of this drought is difficult to estimate but is undoubtedly higher than just the money used to compensate farmers. We were fortunate that no large forest fires broke out this time, with a loss of houses or lives. The warm and dry month of May caused problems in large parts of Norway, and it is expected that a record amount of compensation must be paid out. It is expected that droughts will only get worse - and therefore even more expensive - due to climate change. Last week, a new study in Nature Climate Change showed that even if we manage to keep global warming at 'just' 1.5 degrees, we can still expect a substantial increase in heat waves. But with current climate policies, those of Norway and the rest of the world, it is not to be expected that the 1.5-degree goal will be reached. If nothing changes, we will surpass it. Despite the high costs of climate change, oil companies such as Equinor continue with 'business as usual', also after changing their name. For example, they have just invested 2 billion dollars in a Brazilian oil field. For the coming years, contracts have been awarded with a value of 3.5 billion dollars, to drill also for oil in Norway. The so-called 'green' announcement that several oil platforms will use electricity from the mainland instead of gas turbines can hardly be taken seriously. It is akin to installing a solar panel on your petrol-guzzling SUV to supply power to your navigation system. Rather, like a group of leading economists argued in Klassekampen yesterday, the reduction of Norwegian oil production would be a cost-effective measure to reduce global CO2 emissions. The huge profits that oil companies achieve today are only possible because the costs of climate change - such as an increase in droughts, floods, and the ever-rising sea level - are not paid by them. The footing of the bill is passed on to all of us. When do we realize that the destructive character of our fossil fuels only enriches the few and makes the rest of mankind, and our nature, only poorer?